May 17, 2018 (Vancouver, BC) – On Friday, June 22 2018 Hart House will host its second annual Long Table Dinner. 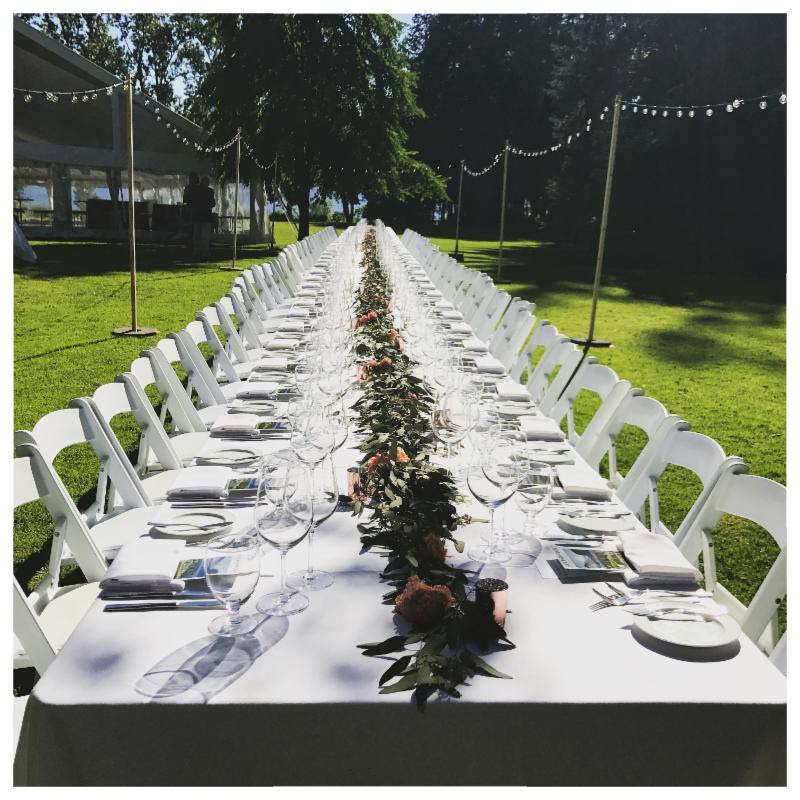 Guests will gather around a shared long table to join an al fresco dinner paired with wines from the Okanagan Valley’s LaStella Winery. Hart House is located on a gorgeous 3-acre estate beside Burnaby’s tranquil Deer Lake, and the event is a perfect opportunity to enjoy the summer splendor of the lawns and flower gardens. Please click here for tickets to the event, which is sure to be a highlight of the culinary season. About Hart House Restaurant: Open since 1988, Hart House at Deer Lake makes an unforgettable impression on guests with its elegant heritage house setting and outstanding Pacific Northwest cuisine. The 3-acre estate includes a mock-Tudor mansion with tastefully appointed dining room, private function rooms, and heated patio; immaculate lawns and gardens; and a Lakeside Cottage. Always a favourite for outdoor weddings, Hart House also hosts business lunches and conferences of all sizes, as well as intimate dinners and celebrations. Our menu changes with the seasons to take advantage of the freshest local ingredients, including herbs from our own on-site herb garden. 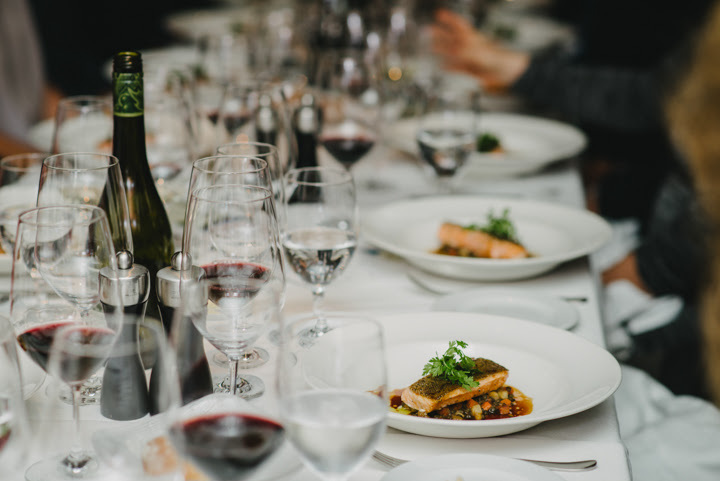 Whatever your menu selection, our attentive staff are always happy to recommend wine pairings from our award-winning cellar. 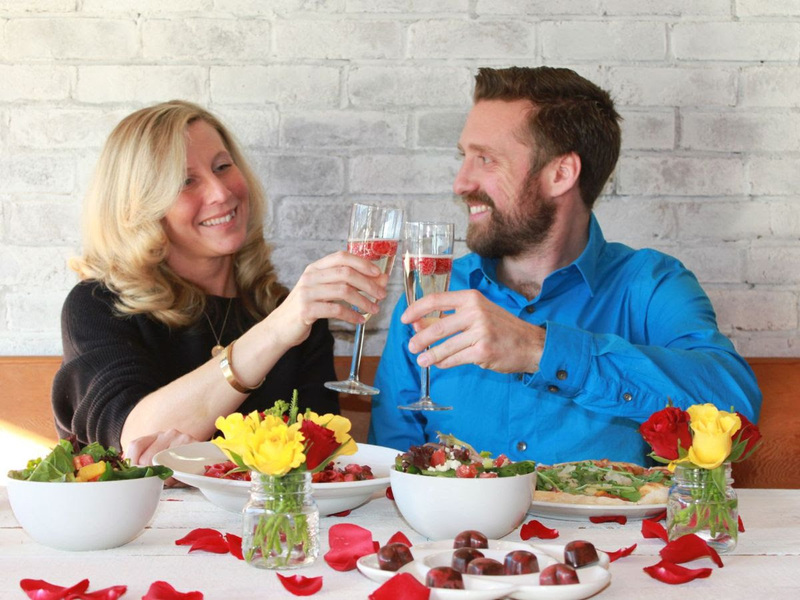 About LaStella Vineyards: LaStella was created to capture our vision of la dolce vita: fine food, wonderful wine, great music, and the good things in life. The winery is situated at Osoyoos Lake in the sunny South Okanagan Valley of beautiful British Columbia. Here our vineyards produce great fruit and we craft them into such proprietary wines as Allegretto, Vivace and Maestoso. Each wine has its own story – and to convey this unique story we name our wines after Italian musical notes. VANCOUVER, BC (October 26, 2017) — A limited number of discounted advance tickets to the 40th Vancouver International Wine Festival go on sale November 1 at 9:30 a.m. The festival runs February 24 to March 4, 2018, welcoming 177 wineries from 15 countries. All wineries and their principals gather in the Tasting Room to showcase their wines at four International Festival Tastings (March 1-3), available in advance for $4-$9 off the regular price until December 15, or while quantities last. This year, the festival features Wines from Spain and Portugal, with 38 wineries from Spain and 24 wineries from Portugal travelling to Vancouver to share their stories, passion and history. This marks the largest gathering of Iberian Peninsula wineries in festival history, nearly half of them festival first-timers. 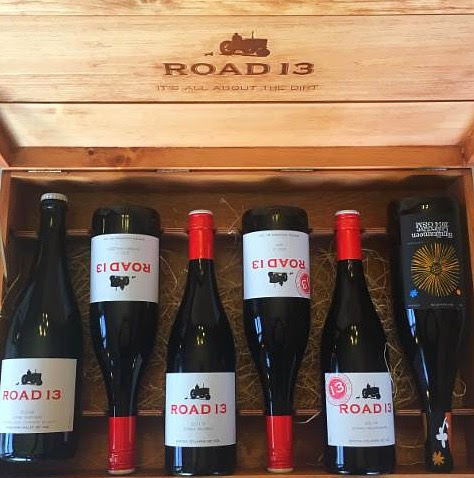 They’re joined by 115 wineries from 13 other countries, plus wines from South Africa available only at a Regional Tasting Station in the Tasting Room. Overall, one out of three wineries are new to the 2018 festival. Discounted passes and tickets to select events go on sale at VanWineFest.ca from November 1 until December 15, or while quantities last. “We’re delighted to offer festivalgoers a discount on select Tasting Room-related events that are at the heart of the festival,” said Harry Hertscheg, VIWF executive director. “Tickets make a great holiday gift for the wine lover on your list and you won’t have to battle any Black Friday crowds to get these bargains. And best of all, the ticket price you see is the price you pay. No surprises upon check out!” The advance sale offers savings on International Festival Tasting tickets and associated events. See details below. Festivalgoers can save $4-$9 off the regular price of International Festival Tasting tickets (Thursday, March 1, Friday, March 2 and Saturday, March 3). Advance tickets for evening tastings, 7 to 10 p.m., are $80 for Thursday, $90 for Friday and $95 for Saturday. 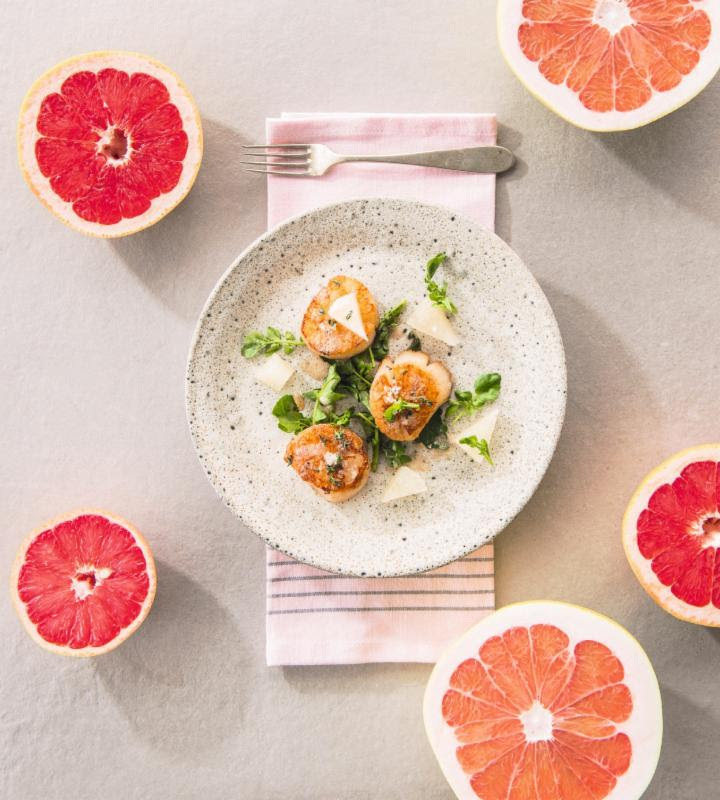 The Saturday matinee tasting from 2:30 to 5 p.m., set against the stunning backdrop of Coal Harbour, is available for the low advance price of $70. Only a limited number of tickets are available at the advance rate for each of the four sessions. Once the advance allotment sells out, tickets may be purchased at regular prices. Enjoy an enhanced International Festival Tasting experience with tickets to the exclusive Friday and Saturday evening Delta Air Lines Tasting Lounge and still save $10 (advance rate $180 for Friday and $185 for Saturday). Located in the Ocean Foyer in VCC West, right next to the Tasting Room, the lounge is open 5:45 to 9 p.m. and offers easy access to the corresponding International Festival Tasting. Enjoy a respite from the Tasting Room with comfortable seating and spectacular views. Select wines, light bites and cheeses are served. For those wanting the full tasting experience, Gold Passes go on sale for only $480, a $15 savings. Gold Passes include access to six tastings (four public IFTs and two Trade Tastings, presented by ContainerWorld), the Delta Air Lines Tasting Lounge and the exclusive Festival Toast VIP reception. Purchased individually, the Gold Pass events are valued at $721. The Tasting Room at the Vancouver Convention Centre is where all 177 participating wineries gather to pour 700+ select wines. Discover exciting new wines, or return to your favourites, sipping from premium wine glasses. The room will also feature four regional tasting stations: Australia: History and Evolution; New Zealand: An Indelible Expression of Place; Wines of South Africa; and Spain is Wine. You can also find wine-friendly food and beverage exhibitors, many of whom offer tasting samples, including Nesters Market, Caffè Umbria, FIJI Water, Terra International Foods, D’Oro Gelato e Caffè and Terra Breads. This year, the Tasting Room will feature wines from Iberian Peninsula neighbours Spain and Portugal. Two very distinct nations with their own rich histories and cultures, this festival will provide a fascinating opportunity to see how their winemaking and viniculture have developed in divergent and convergent paths over the centuries. What makes VanWineFest unique is the presence of global “vine stars” – winemakers, proprietors, senior executives – who come to Vancouver every year to pour and discuss their wines with festivalgoers. Each winery will be represented in the room by a principal, someone closely involved in the wine-production process. Seek out the royal blue lanyards at tastings and special events to meet our vine stars face-to-face. More than two dozen owners and winemakers from Portugal and Spain will be in attendance, as well as other top executives representing their wineries and wines. Both the Thursday evening and Saturday afternoon sessions are guaranteed to have a lower capacity than Friday and Saturday evening, offering more room and more time to interact with winery principals. Included in the price of each ticket is the opportunity to shop at the on-site BC Liquor Store where wines from all participating wineries will be available for purchase. Purchased wines can be shipped at no cost to your nearest BC Liquor Store for pick-up after the festival. BC Liquor Distribution Branch will also help everybody Get Home Safe by providing a complimentary transit ticket to patrons as they leave the tastings. Festival partners BC Liquor Distribution Branch and the Import Vintners & Spirits Association (IVSA) have teamed up to allow festivalgoers to order case lots of select wines. Wines available by the case will be identified with a neck tag. Place orders for those must-have wines directly at the participating winery tables and they’ll be delivered to your closest BC Liquor Store within two weeks of the conclusion of the festival. Free ticket with hotel booking offer – goes on sale early January. Festivalgoers get one free International Festival Tasting ticket for booking a downtown hotel via Vancouver Hotel Destination Association. Details will be announced via e-news and social media. All public events go on sale Wednesday, January 10 at 9:30 a.m.
All Trade Days Conference events go on sale Wednesday, January 17 at 9:30 a.m.
Twitter: follow @VanWineFest for news on tickets and sold-out events. Join the conversation at #VIWF. Canada’s premier wine show will mark its 40th edition of pairing wine, food and the performing arts from February 24 to March 4, 2018. The festival features Wines from Spain and Portugal and will showcase 177 wineries from 15 countries (including 38 wineries from Spain and 24 from Portugal) pouring 1,450+ wines at 51 events to a projected 25,000 admissions. The Bacchanalia Gala Dinner + Auction opens the festival on Saturday, February 24 at the Fairmont Hotel Vancouver. The Trade Days Conference takes place Wednesday, February 28 to Friday, March 2. The festival has been named the #1 Food, Wine & Hospitality Event in Canada by New York’s BizBash for five years running. The festival is produced by the Vancouver International Wine Festival Society, which has three mandates: provide an informative, educational and entertaining wine experience for public and trade; be a premier marketing opportunity for the wine industry and festival partners; and raise funds for the Bard on the Beach Theatre Society. Since inception in 1979, the festival has raised $9 million for the performing arts. Major sponsors are Delta Air Lines and the Vancouver Sun; major industry partners are the BC Liquor Distribution Branch, BC Liquor Stores, and the Import Vintners & Spirits Association. The festival is made possible through the gracious support of our participating countries’ consulates and embassies. Celebrating its 29th season in 2018, Bard on the Beach is one of Canada’s largest not-for-profit, professional Shakespeare festivals. It is presented on the waterfront in Kitsilano’s Vanier Park, adjacent to Vancouver’s downtown core. Bard on the Beach offers Shakespeare plays, related dramas and popular special events in two performance tents every June through September. In 2017, attendance was over 100,000 and more than 1.6 million patrons have experienced Bard since its inception. Next year’s festival dates are June 6 to September 22, 2018, and the lineup includes As You Like It, Macbeth, Timon of Athens and a new Bard-commissioned adaptation of the Greek classic Lysistrata. Bard also offers a range of education programs, including Young Shakespeareans Workshops for 8 to 18 year-olds at its Vanier Park site during the summer, and Riotous Youth for 19 to 24-year-olds. During the school term, Bard also offers workshops for educators and youth in schools and community centres throughout BC’s Lower Mainland, as well as at its administrative home, the BMO Theatre Centre (162 West 1st Avenue). Full details and education program information are at bardonthebeach.org.